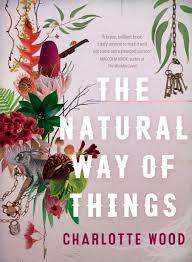 The book is well written, some passages exquisitely so, and the narrative superbly structured. But I found it pretty weak imaginatively. It lacks the gut-wrenching emotional power of far better prisoner narratives - Richard Flanagan's The Narrow Road to the Deep North being the touchstone. Presumably the prison is an allegory of their life in the real male dominated world. They often reflect on their unfortunate relationships with men prior to their kidnapping - 'in his every moment with her, his every act, it was his own self he saw and coldly worshipped' - but we're only given glimpses and hints. The prison camp is meant to convey the substance. Here's where the reader is, however, left entirely frustrated. If this is an essay on misogyny its premise lacks credibility. But maybe Wood is far more sophisticated than the puff piece boosters on the cover and prelims, great male and female writers all of them*. It's a question as to whether this book chooses to represent misogyny at all, or whether it's just a meditation on what it is to be female. *Malcolm Knox, Ashley Hay, Joan London, Tegan Bennett Daylight, Clementine Ford, Christos Tsiolkas. 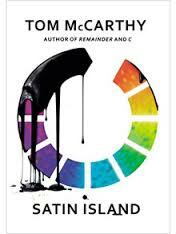 I'd not read Tom McCarthy before so when his new novel Satin Island was shortlisted for this year's Booker I took the opportunity and am so glad I did. (The actual Booker winner, Marlon James' A Brief History of Seven Killings, I'm 60 pages into and finding the Jamaican patois tough going. It's like reading a set text - you're not really reading it for pleasure). 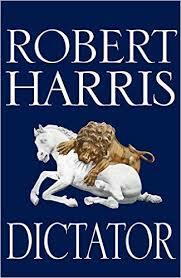 I've long enjoyed the novels of Robert Harris and considered his last An Officer and a Spy to be a masterpiece. I blogged about it here. Dictator, the third and final instalment in his marvellous and celebrated Cicero series, is likewise magnificent. This is the politics of ancient Rome. It's corrupt and brutal though ostensibly democratic. Its intrigues are awash with blood. Harris has written an essay on war as much as an historical and dramatic novel - an essay that is supremely relevant to our modern times. Rome is the epitome of a warmongering nation. Flimsy excuses justify aggression, and the self-aggrandisement of Patrician warrior leaders, dealing in treachery and deceit at every turn, expose them as brutal criminals at heart. Cicero is an honourable, generous figure of integrity and Harris is committed to faithfully rendering the exact words of his powerful Senate speeches. He spoke truth to power, but was always aware of the ever shifting alliances that could trap even the most powerful and clever. We're immersed in the world of Caesar, Pompey, Cato, Cassius, Antony and others, and the many marriages and familial connections that bind them all. Their manoeuvrings drive the plot and provide the suspense. Harris also gives us a rich flavour of Roman society: its gods, beliefs, superstitions and social structures. But the central focus is the remarkable Cicero and his faithful biographer, the humble and intensely likable Tiro. I can't recommend the novels of Robert Harris enough. He's a superb writer.